Through globalization, businesses can spread their supply chain across multiple countries to ensure that they’ll always have the right suppliers and are able to deliver the best products to their customers. However, having a global supply chain also increases the risks of recalls and contaminations at scale. Regardless of whether you’re a producer, wholesaler, or retailer, keeping track of your products both upstream and downstream of the supply chain is important, as you’ll be able to trace all your products in the event of a recall. After all, recalls are a costly process for any affected business, and can significantly affect brand perception and customer confidence. 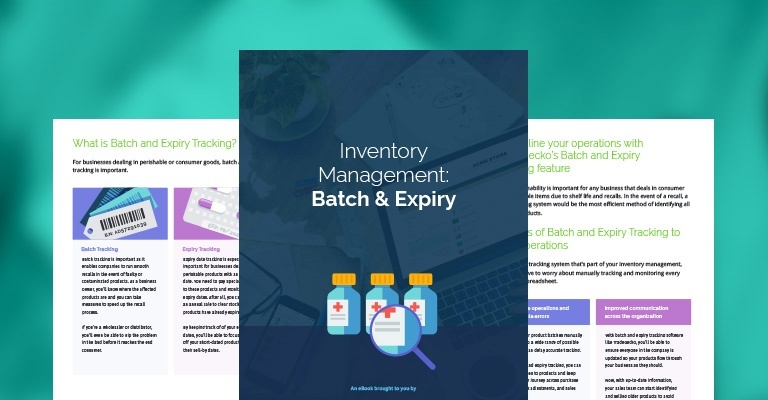 In this Free eBook, you’ll find out about how batch and expiry tracking software can help you manage and keep track of product movements as well as grow your business. What is Batch & Expiry Tracking and who is it for?